His statement came days after a lower court temporarily barred Sirisena-appointed prime minister Mahinda Rajapaksa from performing his duties. 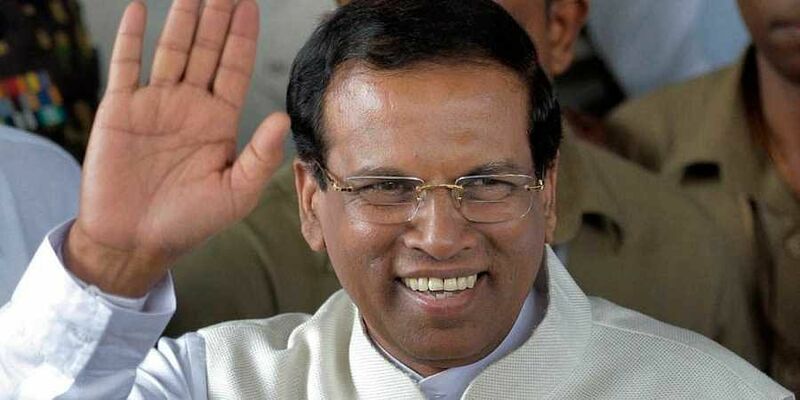 COLOMBO: Sri Lankan President Maithripala Sirisena said that the current political crisis in the country will not drag on beyond a week even as a war of words between him and ousted prime minister Ranil Wickremesinghe intensified. Sri Lanka is going through a major political crisis since October 26 when President Sirisena, in a controversial move, removed Wickremesinghe and installed ex-strongman Rajapaksa in his place. The president later dissolved Parliament and called for a snap election on January 5. However, the Supreme Court overturned Sirisena's decision to dissolve Parliament and halted the preparations for snap polls. In a statement, Sirisena said that he has always taken decisions in the best interest of the country and the people. "The current political crisis will not drag on beyond seven days," he said on Twitter. In his strongest yet statement against the president, United National Party (UNP) leader Wickremesinghe on Tuesday said the United National Front (UNF) was prepared to face elections and they are "not afraid of elections." "Don't be like Hitler and some of the other dictators who used the referendum," Wickremesinghe was quoted as saying by Sri Lanka Mirror. Sirisena, speaking at the SLFP special convention at the Sugathadasa Indoor Stadium on Tuesday, said that he had been left with no option but to sack Wickremesinghe as he was destroying the noble principles of good governance. "He destroyed me as well to some extent," the President said, adding that the former prime minister attempted to grab powers which were decentralised under the 13th Amendment to the Constitution. President Maithripala Sirisena added that Wickremesinghe is a stubborn, headstrong person who was following far right wing neo-liberal policies. On Tuesday, Rajapaksa filed an appeal before the Supreme Court against a court order that barred him from acting as Prime Minister. As many as 122 parliamentarians of Wickremesinghe's UNP, Janatha Vimukthi Peramuna (JVP) and Tamil National Alliance last month filed a petition in the Court of Appeal challenging Rajapaksa's authority as the prime minister. The interim ruling was a major blow to both President Sirisena and Rajapaksa. Ousted prime minister Wickremesinghe and Rajapaksa both claim to be the prime ministers. Wickremesinghe says his dismissal is invalid because he still holds a majority in the 225-member Parliament. The Sri Lankan president has said that due to sharp personal differences with Wickremesinghe, he would not reappoint him as the Prime Minister.